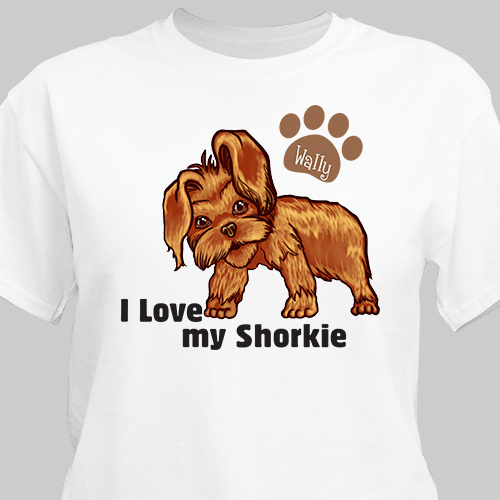 Rock these Personalized T-Shirts around town and show off your favorite dog: your shorkie! We bet you'll get tons of compliments on this adorable tee with a special personalized touch that will really make this shirt unique. Our I Love My Dog Personalized Shirt is available on our premium 100% cotton t-shirts, machine washable in adult sizes S-3XL. Free personalization of any name is included. Excellent quality shirt and great graphics. 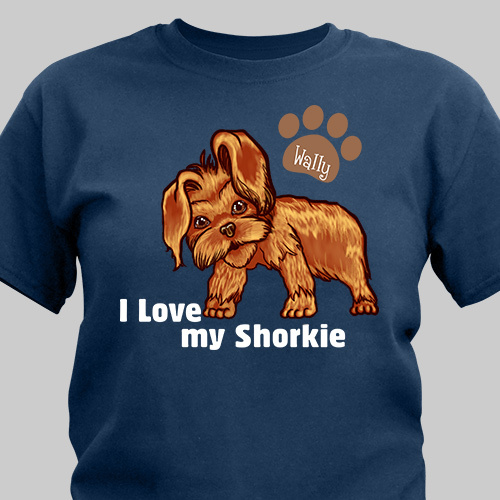 Additional Details Give this cute t-shirt as a personalized gift to your family and friends who love to show off their shorkie. No matter what the occasion, we bet they'll love getting this as a gift.